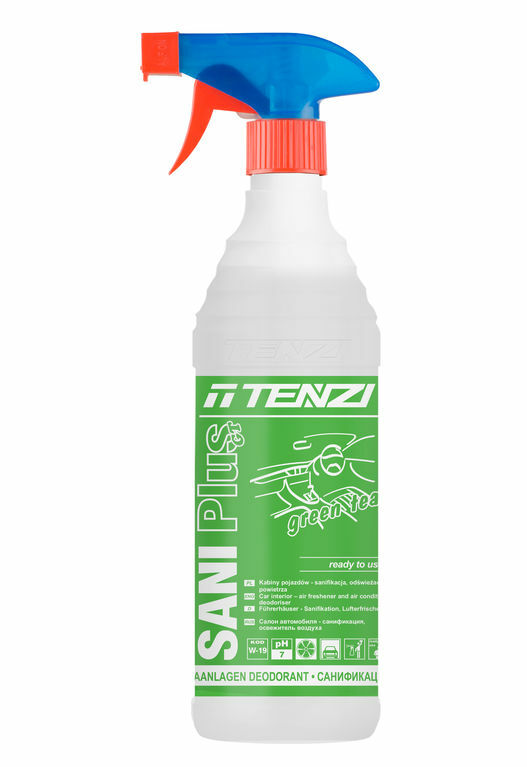 Sani Plus GT green tea -- Witamy na stronach Tenzi Sp. z o.o. A ready-to-use air freshener for removing unpleasant odours. Recommended for refreshing air conditioning system. Green tee smell.